Sec. Tom Price Apologizes For Chartering Private Jets, Claims He Will Reimburse US Treasury For The Costs - Joe.My.God. 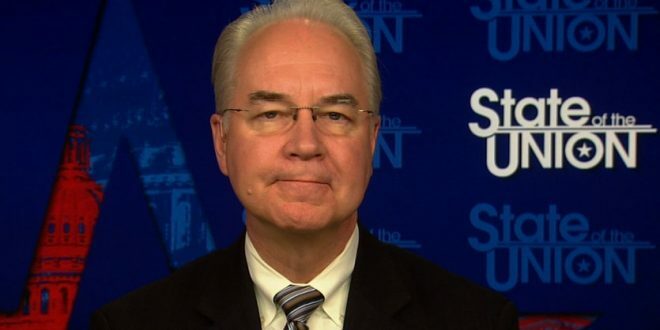 Health and Human Services Secretary Tom Price apologized Thursday for his use of a private plane for official business after President Trump said he was “not happy” with Price. Price said he plans to reimburse taxpayers and will fly commercial in the future. Trump spoke to reporters Wednesday about Price as he departed the White House for a trip to Indianapolis to sell his tax plan. Asked whether he’s planning on firing Price, Trump responded: “We’ll see.” Price said Saturday he would stop flying private planes on official business while an internal review of the flights is being done. He’s also said he welcomes the review.